This place in the Northern Ukraine is known worldwide as a dangerous land. Here, in 1986, a nuclear catastrophe took place, forcing people to avoid the Chernobyl Zone for more than thirty years. However, the absence of people made a surprisingly good influence on the wild nature in the surrounding forests, towns, and villages. The unique species of enormous size may be met here by stalkers and researchers nowadays. 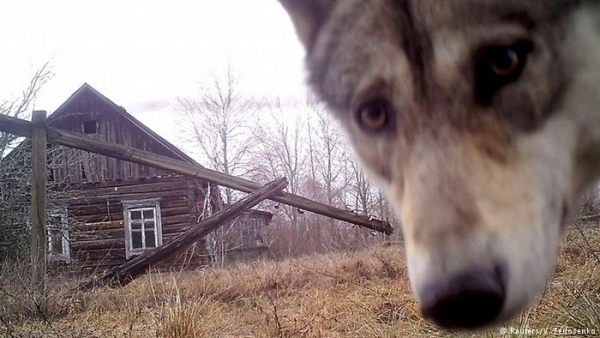 About 100 thousand people in Ukraine and Belarus left their houses to avoid the radiation, leaving the animals to be the only inhabitants of the exclusion zone. 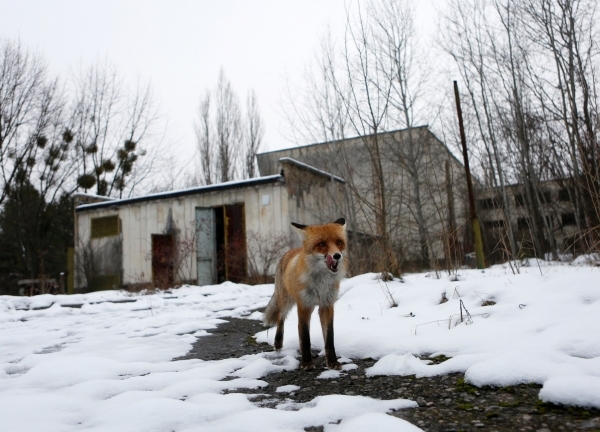 Photographers of Reuters went to the abandoned villages and the deepest woods to take the exclusive shots of the Chernobyl animals. The Mother Nature, as ancient Slavs used to call their goddess of Earth, is wiser than most people believe. 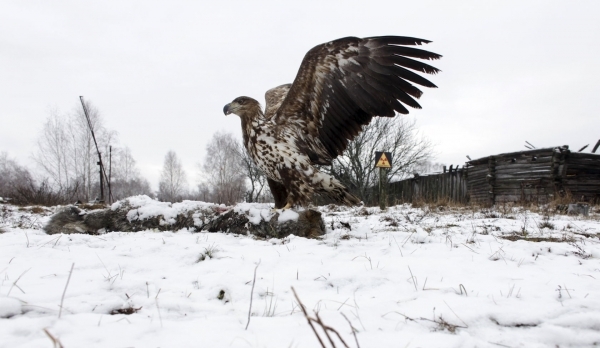 Wildlife re-creates itself, and now the Zone has all the possibility to become a natural preserve. These unique photos were taken in the wisent breeding grounds around the abandoned village of Dronky, Belarus. 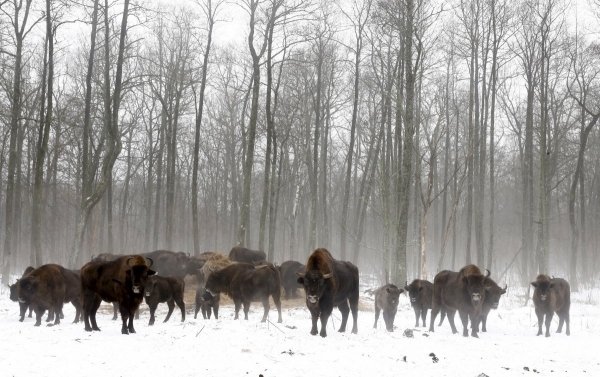 Wisents, or European bisons, disappeared from the whole region except from Chernobyl. Animals are not afraid of people here. They come close to the cameras and take food directly from the hands, merely letting people pet them. These animals knew no harm of people and became rather curious seeing humans around. Especially when people bring some lunch! 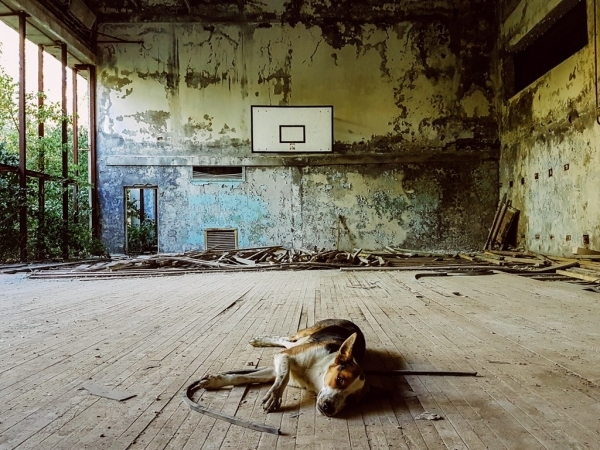 The scientists proved that animals that stayed in the Chernobyl Zone survived because of the antioxidants, which were developed in their bodies to fight radiation.